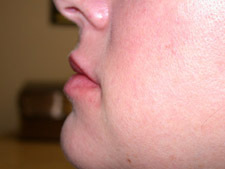 Description: This woman complained of thin lips with inadequate fullness, particularly in her upper lip. 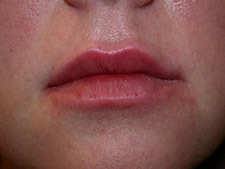 She desired lip augmentation. 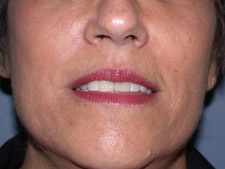 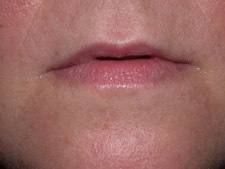 Dr Lu injected 1 cc of Restylane to her upper and lower lip. 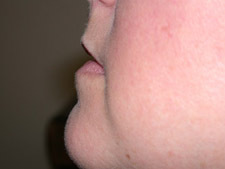 Description: This woman complained of grooving in the nasolabial folds, marionette lines, jowls and grooves between the nose and lower lid. 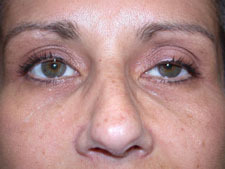 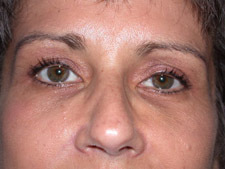 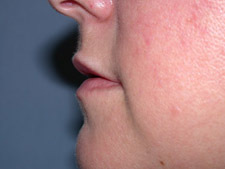 2 cc's of Restylane were utilized to treate these areas.